What is PRP? Platelet Rich Plasma, or PRP, is a fraction of your own blood drawn, spun down and reapplied or injected to create improved tissue health. What can it be used for? Platelet rich plasma – PRP – can be used also to improve skin texture, lines and wrinkles. By placing it into the deeper skin layer fibroblasts and other cells can be stimulated to a more youthful function. Areas like crepey areas under eyes and in necks can show dramatic improvement. Lines like about upper lips can also improve. And the general texture and turgor of the skin will improve. Who will benefit from it? Anyone who is using cosmetic treatments for lines, wrinkles, poorer skin condition and general skin reconditioning can be improved with platelet rich plasma therapy or PRP. The most dramatic results so far have been in the crepey skin problems in areas such as under eyes, necks and decolletage areas. How is it done? A tube (or two or three) are drawn off in much the same way blood is taken for blood testing. While the skin is being numbed with a topical anaesthetic cream, the blood sample is spun for around eight minutes in a centrifuge to produce the platelet rich plasma – PRP. 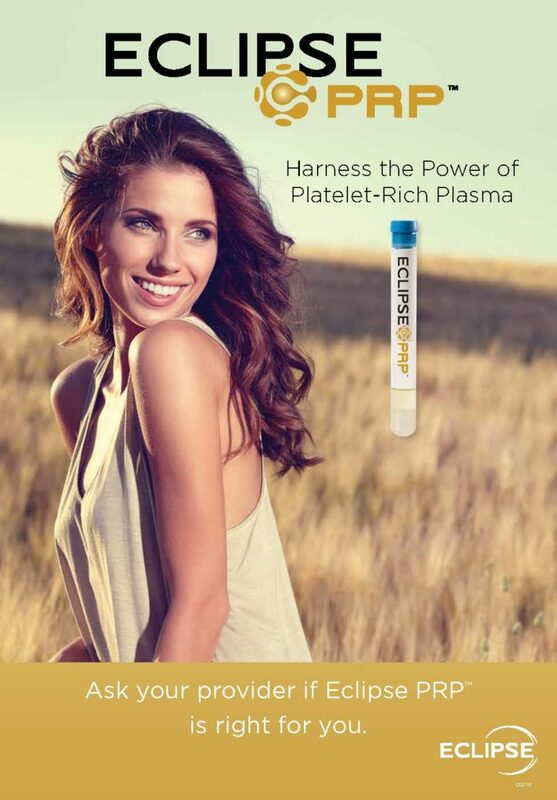 The platelet rich plasma is drawn from the tube into a small syringe and mixed with a small amount of calcium chloride to stimulate the process. Once mixed in the syringe the platelet rich plasma – PRP – is then injected.